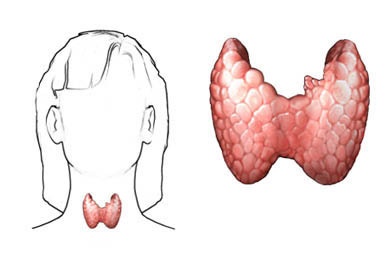 Antithyroid medications work best for Graves disease. They will reduce thyroid activity. Smoking can interfere with some of the medications. If you smoke, talk to your doctor about how you can successfully quit . Hyperthyroidism and thyrotoxicosis. EBSCO DynaMed Plus website. Available at: http://www.dynamed.com/topics/dmp~AN~T116479/Hyperthyroidism-and-thyrotoxicosis . Updated July 27, 2017. Accessed December 15, 2017. 1/30/2009 DynaMed Plus Systematic Literature Surveillance http://www.dynamed.com/topics/dmp~AN~T115280/Graves-disease-in-adults : Nyirenda MJ, Taylor PN, Stoddart M, Beckett GJ, Toft AD. Thyroid-stimulating hormone-receptor antibody and thyroid hormone concentrations in smokers vs nonsmokers with Graves disease treated with carbimazole. JAMA. 2009;301(2):162-164. 6/10/2014 DynaMed Plus Systematic Literature Surveillance http://www.dynamed.com/topics/dmp~AN~T900418/Thyroid-surgery-considerations : Alhefdhi A, Mazeh H, Chen H. Role of postoperative vitamin D and/or calcium routine supplementation in preventing hypocalcemia after thyroidectomy: a systematic review and meta-analysis. Oncologist. 2013;18(5):553-542.